There are many ways to get connected and be part of the life of the church. Here are three teams you can join to help create the opportunity for people of all ages to grow in their faith journey. There are many wonderful ways to be involved in the life of children’s ministry at Chapel Roswell. There are options to serve weekly, in missions, and for special events. Here are just a few of those opportunities: Nursery Volunteer, Preschool Small Group, Elementary Small Group, Large Group Leader, Tech Team, Prop Team, Mission Camp, Festivals and so much more! 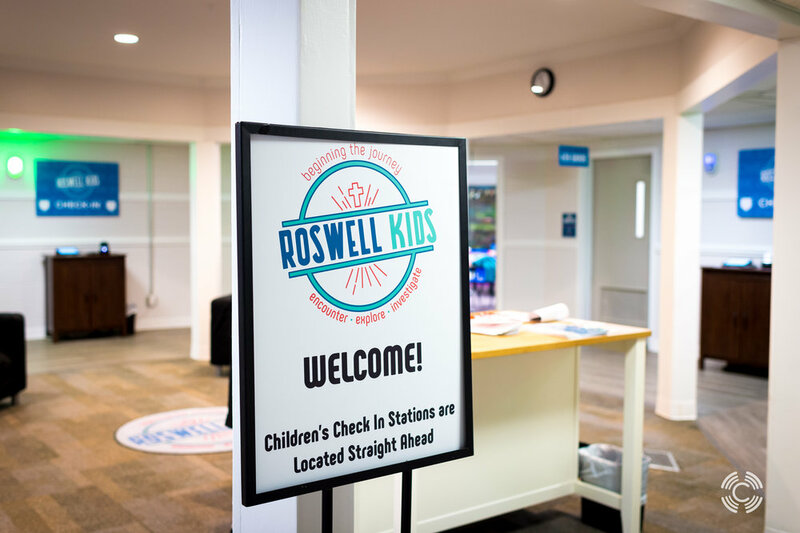 The connections team is responsible for creating a warm and welcoming environment for worship on Sunday mornings at Chapel Roswell through the Connection Center and other means of hospitality. This team also helps get people connected to opportunities for membership, small groups and service. The production team is charged with the responsibility of fusing the message and the media to form an environment that encourages people into a growing relationship with Jesus Christ. As a Production Team member, his or her position — and how well they perform at that position — is critical to creating an environment that ministers to seekers and believers alike. Areas of service include Lighting Operator, Video Director, Camera Operator, Audio Engineer, Assistant Audio (A2), Live-Stream Audio Operator, ProPresenter/CG Operator and Stage Hand Crew.